Keep this oatmeal scotchies cookie dough in the freezer or fridge, and you can have soft, chewy, butterscotch oatmeal cookies any time the mood strikes. 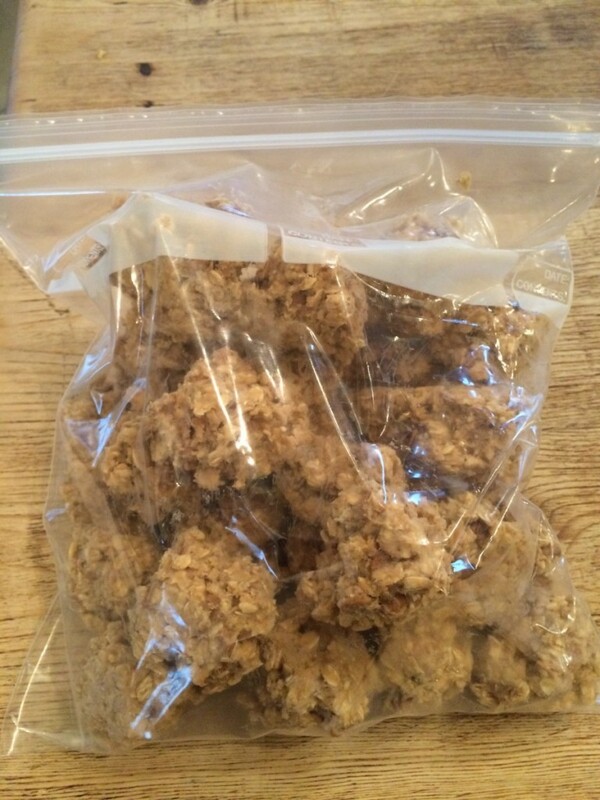 This recipe is for cookie dough that can be kept in the freezer and pulled out as needed to bake one or more yummy oatmeal scotchies (oatmeal cookies laced with butterscotch baking chips). This is truly a make ahead recipe, as this dough must be chilled (at least 5 hours) or frozen. If this step is skipped, the cookies will spread out too thinly during baking. When butterscotch baking chips are concerned, more is not better. Excess butterscotch chips will give an artificial flavor to the cookies and make them cloyingly sweet. In my experience, a scant cup yields just the right flavor. I use an Oxo medium cookie scoop. It has a nifty lever that releases the dough easily onto the baking sheet. Spraying the inside of the scoop will also help the dough mounds release easily. The cookies should be watched carefully during baking and removed when they just begin to turn golden around the edges and the tops begin to set. They firm up and continue to cook after removing from the oven, so it is fine for them to look a bit “undone.” Mine are usually done after 12 minutes, but since oven temps vary, eyeballing them is best. I hope you enjoy this cookie dough! You might also want to try Toffee Oatmeal Cookie Dough or Oatmeal Chocolate Chip Cookie Dough~ two more freezer cookie dough recipes that are also great to keep on hand. Thanks so much for stopping by! Be blessed, and stay savvy!!! 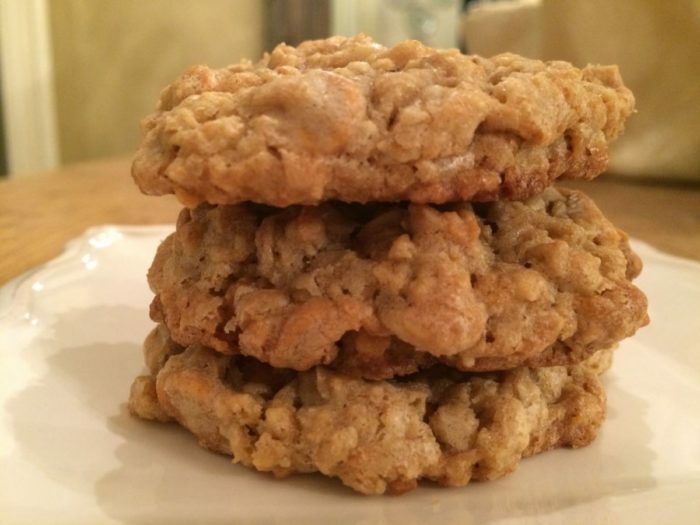 Oatmeal scotchies can be made in minutes when oatmeal scotchies frozen cookie dough is in the freezer! Using a stand mixer, beat egg, butter, sugars and vanilla on medium-high until light and fluffy. Scrape down the sides of the bowl and add the oats, flour, baking soda & salt. Mix to well incorporated~about 1 minute. Add the butterscotch chips and beat until just blended into dough. Using a medium cookie scoop, scoop dough into 2" mounds. Place dough mounds on a cookie sheet; flash freeze for at least half an hour. When cookie dough mounds are flash frozen, transfer them to a freezer storage bag. Store frozen until ready to bake (up to 6 weeks). Place frozen dough mounds on baking sheet 2" apart. Bake for 9 to 10 minutes, or until edges are set and tops just beginning to set. Cookies may not appear to be done, but they firm up dramatically as they cool. Allow cookies to cool on trays for about 15 minutes before eating or moving to serving plate. Store cookies airtight at room temperature for up to 1 week, or in the freezer for up to 3 months.